Home Beauty Micellar Water, Your Answer to Everything! No matter how perfect your skin is and how hard you work to maintain it and keep it, you must admit that you would love to cut down the steps or do everything in one quick step. Since we are always there for you and love helping you maintain a healthy skin and a healthy life, we did some research and came up with the perfect solution! Micellar Water. It is made up of micelles which are tiny balls of cleansing oil molecules suspended in soft water. Micelles are attracted to dirt which means that the second it touches your face it draws out all the dirt and excess oil. If you are a busy girl who wants a clear and healthy skin with the least chemicals and effort, then you have found your miracle doer. It makes your face squeaky clean and you don’t have to rinse it afterwards. You can use it as a make up remover as it can remove the strongest make up even waterproof make up in one swipe. It hydrates and nourishes the skin without soap, alcohol and harsh chemicals. It is also great for all skin types, even sensitive skin and it’s oil free formula is great for oily skin as well. When to use Micellar water? Whenever you want! That is the best part about micellar water, you can use it when you wake up, before you go to bed, midday or even after you get out of the shower. Using it is an essential if you want to make your face flawless. It’s not only a makeup remover so even if you don’t apply make up at all, you need it to cleanse your face after a dusty day and to hydrate you after a dry day. You can also use it if you are going on a trip and need a quick one step cleanser that makes you look and feel clean. You can keep it on you for long flights to give your skin the refreshment It needs. Where to get Micellar water? 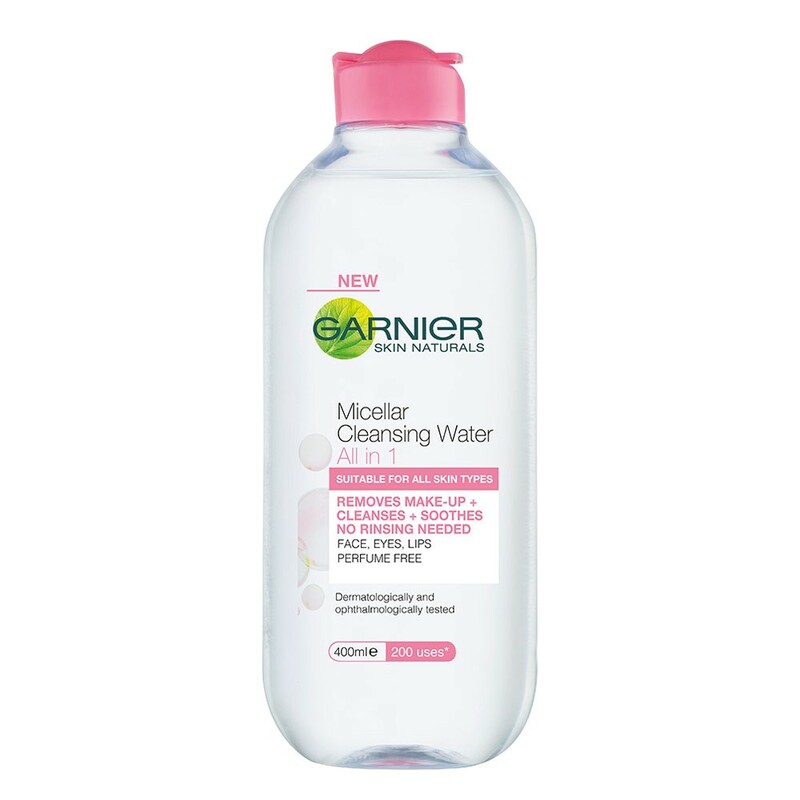 Many brands have Micellar water in their range, drug store brands and hi end brands almost all of them have it. Lancôme, Vichy, Bioderma, Nivea, Garnier and many more. It is your choice how much you want to pay. My absolute favorite is Garnier it is on the affordable side and it’s 400 ml which means you can use it for up to 400 times, and you can get from Jumia for 99 EGP which is a great deal especially if you are trying it for the first time. Go ahead, try it out and let us know what you think! Previous articleBe Good to You: Your Treat to Yourself! Trans Fat: Where is It?